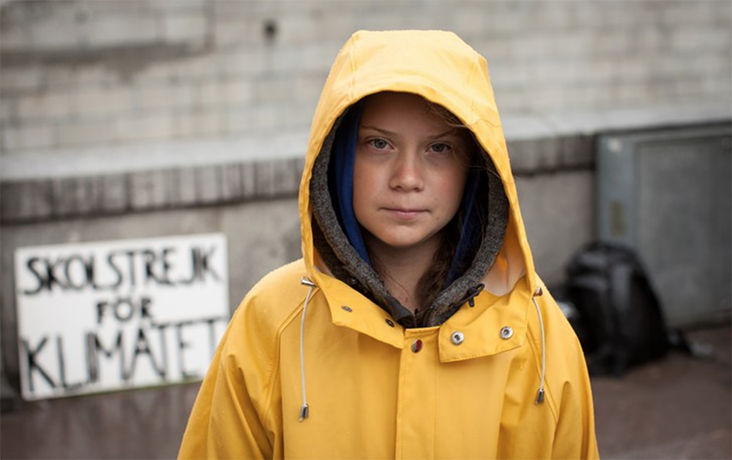 My teenage daughter recently joined one of the Youth Strike 4 Climate days instigated by the Swedish climate change activist Greta Thunberg. It was part of the Fridays for Future campaign where pupils from around the world walk out of school to protest about the lack of urgency they feel the adults in power are treating the climate change emergency. It was a life changing moment for my daughter who – apart from coming on the first Women’s March with me in January 2017 – wasn’t particularly political. But the kids are revolting. And they are right. In October 2018, the UN warned that we had 12 years to avert climate change catastrophe and limit rising temperatures to 1.5 to 2 degrees. That was 17 months ago. And little has changed. The next worldwide strike, which will see protests from Washington to Warsaw, is March 15. “We are striking because if the social order is disrupted by our refusal to attend school, then the system is forced to face the climate crisis and enact change,” according to a post on the Youth Climate Strike website. These principled young people mean business. My daughter and her generation are genuinely worried and alarmed by the state in which we are leaving the planet for them and their future children. And while she still leaves the bathroom light on, she came home from the protest in Parliament Square and outside Downing Street in central London and announced she was stopping eating meat. Cows – and the methane they produce – are one of the biggest sources of global warming water use and land degradation. Despite this, according to the UN News, “Global meat production is projected to more than double from 229 million tonnes in 1999/2001 to 465 million tonnes in 2050, while milk output is set to climb from 580 to 1043 million tonnes.” The most effective thing an individual can do to cut down on their carbon footprint is to stop eating burgers – especially when there are so many vegan alternatives. In the U.S, according to the research firm Global Data, only 1% of U.S. consumers claimed to be vegan in 2014. And in 2017, that number rose to 6%. It’s still a tiny percentage but the vegan food movement is on the rise, making it a massive business opportunity. What, you might ask, does this have to do with fabric and the clothes we make and wear? Well, of course, many people are having the same debates over whether or not to wear leather. Luxury brands have been moving away from using fur since Gucci announced it was going fur-free in October 2017, saying it just wasn’t “modern”. But there is also an increasing market for brands to produce alternatives to leather. In February, the world’s first Vegan Fashion Week debuted in Los Angeles, the city which has already banned the sale of fur. “I want to ignite conversations and debates within the industry by educating, elevating and drawing connections between our most important values; our respect for human life, animal rights, and the environment,” the fashion stylist and curator of Vegan Fashion Week Emmanuelle Rienda told Dezeen magazine. In June, Helsinki Fashion Week will also go leather-free. But what, I hear you ask, is the alternative? Leather, as we know, is in many ways the ultimate material: hard wearing, soft to the touch, protective, luxurious, long lasting, and natural! But if you are one of the growing number of vegans who don’t want to wear the skin of an animal, even if it has been reared and slaughtered in the most humane way possible and its hide tanned with natural tanning agents – olive leaves or tree bark – that don’t pollute the waterways with chromium and other heavy metals as is the process most commonly used, there are in fact many new textiles with similar qualities coming onto the market. There is a huge debate however about whether fake leathers – we used to call it ‘pleather’ – that are made using PU (synthetic polyurethane) and PVC have any benefit because of their detrimental impact on the environment – the last thing we need is more plastic pullution. The holy grail is an alternative to leather that is as natural, biodegradable and durable as well, leather. This is a material made from pineapple leaves, a by-product of the fruit industry. It has a soft, crinkly, creased texture which is a badge of honour for those whose Pinatex bags and shoes are recognised by those in the know. 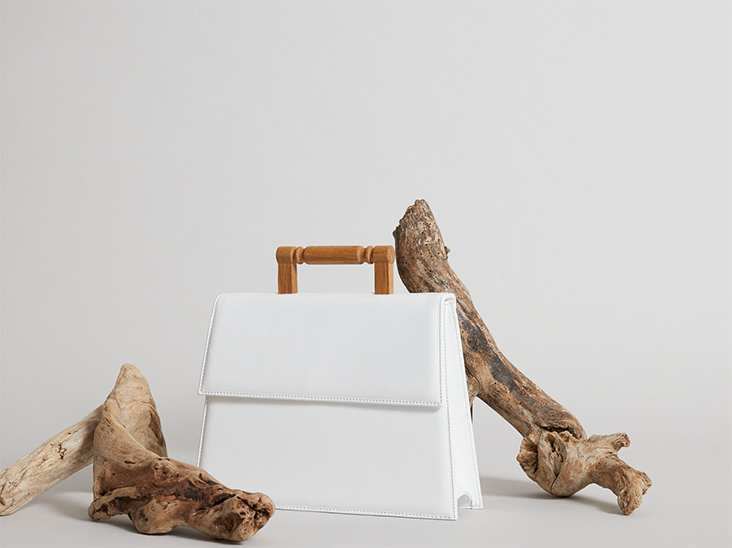 The chic vegan bag brand Mashu has a few designs in Pinatex. Expect to see more of this material over the next few years. Shoe brand Po-Zu is also making Pinatex pumps in silver as well as shoes made using cork. Made from leftovers from the wine industry, this leather-like material is made from grape skins, seeds and stalks and has a very convincing finish. Still in development, but there are high hopes for this new material from the luxury accessories sector. The super clever people at Modern Meadow, a bio-fabrication company in New Jersey have managed to grow leather. Yes, just like a pig or cow would grow leather, this is a leather-like material grown in a lab from a special DNA sequence and yeast cells. Like something you might have seen in Star Trek in the 70s but this is for real. 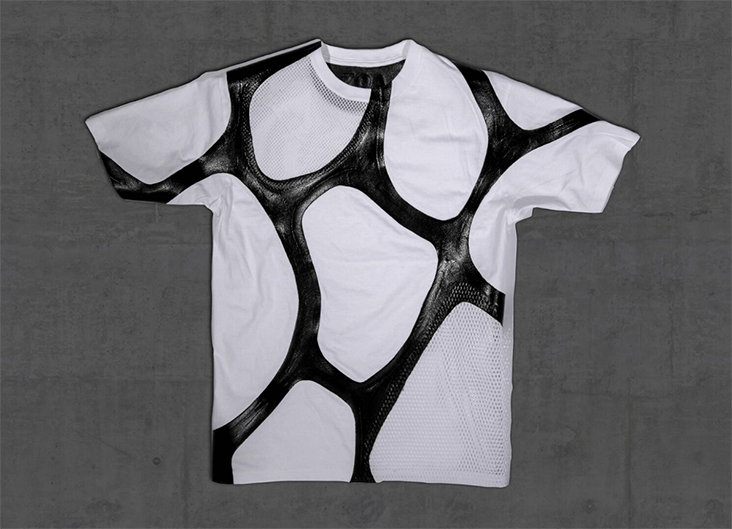 The first Zoa T-shirt was shown at the Museum of Modern Art’s Is Fashion Modern exhibition in 2017 but it will still be a while before we can buy it from the high street. 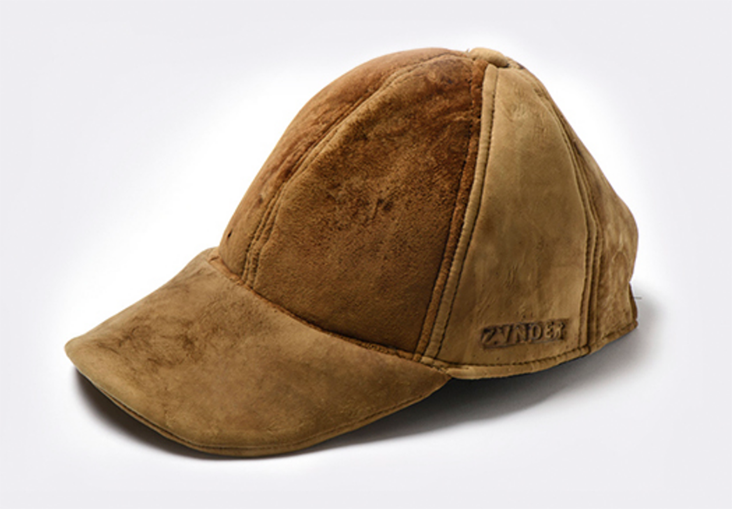 ZVNDER is a German start up making accessories from tinder sponge mushrooms (they are big, spongey and grown on trees) harvested in Transylvania and left to dry for a year before being processed and made into anything from wallets to shoes. At MycoWorks in San Francisco meanwhile, it’s all about the wood fungus and mycelium matter that can be used to grow a leather-like textile to whatever size or shape you need (so also cutting down on waste). You won’t believe this, but one of the most exciting vegan leather alternatives comes from a giant leaf found in the Amazon in Brazil. BeLeaf is 100 per cent natural and biodegradable and is farmed as part of reforestation schemes to increase oxygen levels. 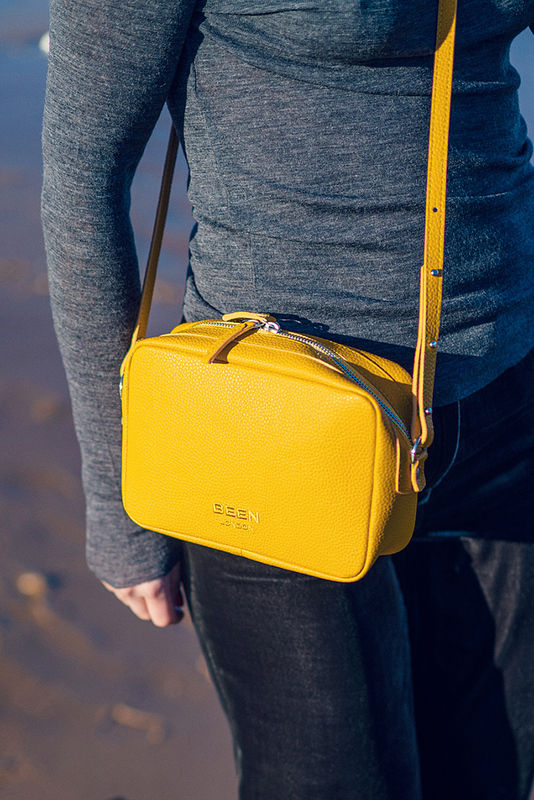 It is being marketed as an alternative to leather by the Brazilan company Nova Kaeru which specialises in sustainable bioleathers (they also produce textural fish skin leathers). It seems too good to be true. Watch this space! Thanks for sharing this. I’ve been vegan for almost 3 years. A widowmaker heart attack, encouragement from my adult kids, a love for ALL animals, and daring to look at a few horrific videos of the meat and dairy industries helped me make the switch at age 60. It’s been fun and great for our health! My cholesterol tanked, I lost 20 lbs easily over 6 months, and my husband got off his cholesterol meds. Go vegan for the animals, your health, and the planet. You can do it!